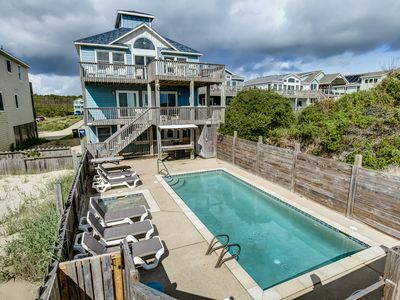 Enjoy the open-sea beaches of North Carolina’s Outer Banks and relax in a laid-back, coastal environment at ‘The Crumblies,’ a 3-bedroom, 2.5-bathroom Kitty Hawk vacation rental townhome that sleeps 6. 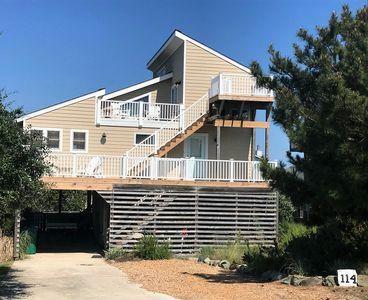 One-of-a-kind beach decor and 1,800 square feet of well-appointed living space, including decks with ocean views on 2-levels, ensures a comfortable, home-away-from-home experience. 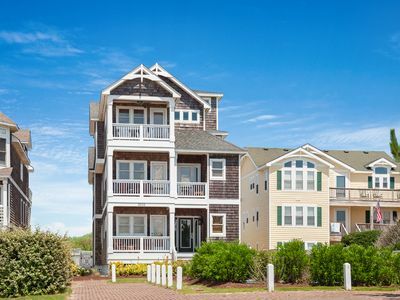 Walk to the beach, unwind and take your next beach vacation from ordinary to extraordinary! 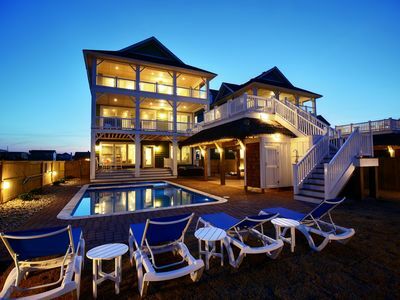 ‘The Crumblies’ townhouse at Sea Dunes has something for everyone: location, uniqueness in décor, activities at the clubhouse and pool, ambiance, and if one so desires, solitude. 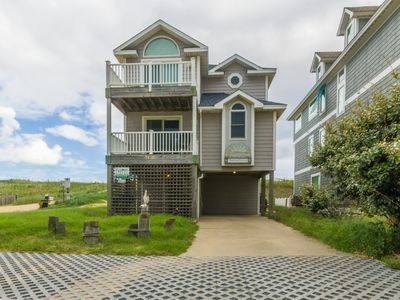 Park in the driveway and enter into the converted-garage living space, where you’ll find the in-unit laundry machines, a walk-in shower, kitchenette and lounge seating area. Head to the top-floor to access the home’s main living area. Beach-inspired paint lines the walls, while a whimsical custom kite hangs from the ceiling over a large section couch. 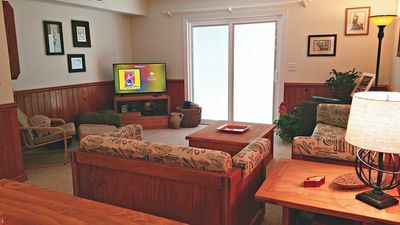 Unwind during your downtime and watch your favorite shows on the flat-screen cable TV. The living room flows freely past the dinette picnic-table and into the bright, fully-equipped kitchen. Bar seating at the countertop helps you share lively conversation with your travel companions as you whip up tasty, home-cooked goods. 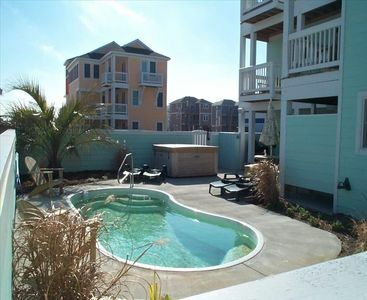 Start your mornings at Sea Dunes with a dip in the community pool and hot tub. Dry off and enjoy a friendly game of tennis or basketball. You can also head inside for a workout in the rec room, or to play various arcade games, including pool and air-hockey. 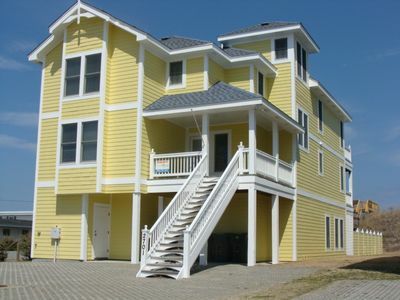 As the sun rises, walk an easy 80 steps to the Atlantic Ocean beach. 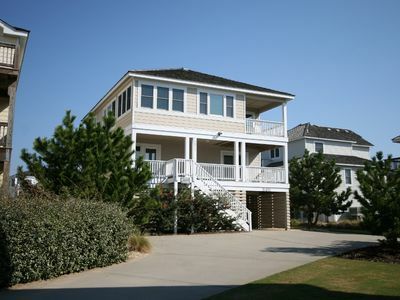 Swim, surf, lay out under the sun and walk along the coast while collecting shells and sea-glass. 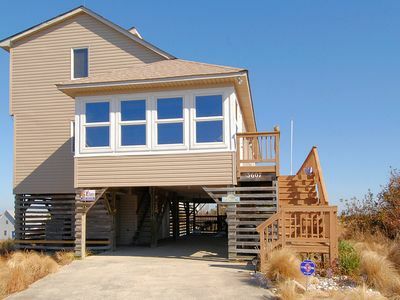 Return home after your beach adventures and drift off to sleep in one of the home’s main-floor bedrooms. The ‘Palm Room’ offers a comfortable queen-sized bed, while the ‘Twin Room’ provides 2 twin-sized beds, perfect for younger travelers. The master bedroom boasts a king-sized bed, an en suite bathroom with a Jacuzzi tub and access to the first-floor balcony with a hanging swing. 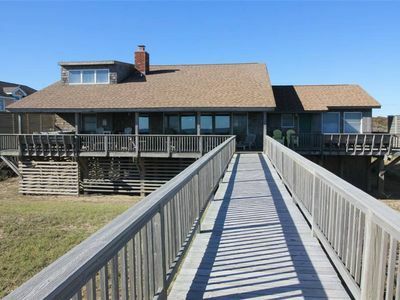 Wake up, grab a cup of coffee then head to the top-floor deck to watch the sunrise across the Atlantic! 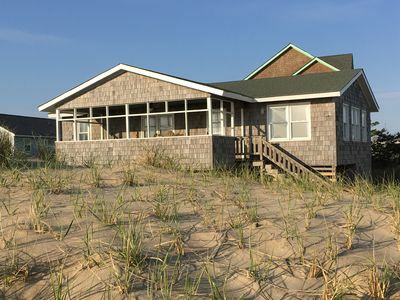 While you’ll love spending most of your time at Sea Dunes lounging at home, enjoying the community amenities and relaxing on the beach, many nearby attractions provide excellent options to fill your remaining vacation hours! Local boutique shops and popular restaurants with a diversity of cuisine surround this home. Grab some hotcakes for breakfast at Stack’em High Pancakes, enjoy an afternoon frozen cocktail at Hurricane Mo’s, then head to Barefoot Bernie’s for live music with your dinner. 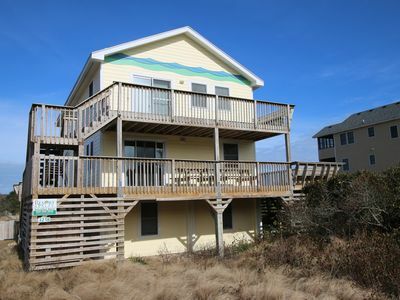 Drive an easy 2 miles to the Kitty Hawk Coastal Reserve, where you can stroll the walking paths to observe the natural wildlife, or bring your fishing equipment and catch some fresh bass. For a historic cultural experience, take a 10-minute drive to the Wright Brothers National Memorial, where you can stand at the exact take-off point for the first successful airplane flight. 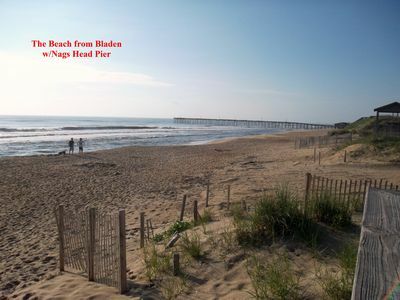 Various bridges connect the different islands that create North Carolina’s Outer Banks so that you can spend your remaining vacation days exploring the area’s breathtaking, natural waterfront beauty. 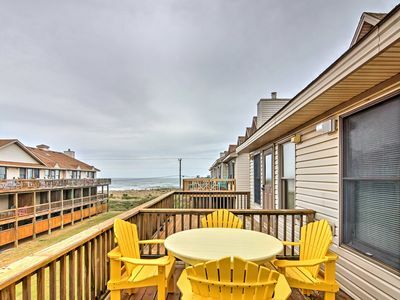 - Enjoy all the community amenities offered by Sea Dunes - Start your morning with a coffee on your private balcony, then head to the community pool or recreation areas before finishing your day at the beach! 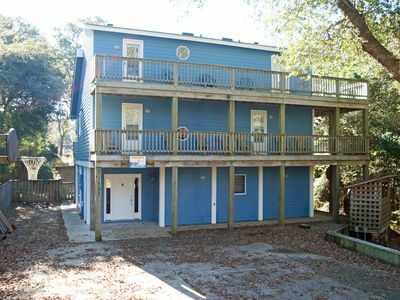 - Excellent Kitty Hawk location - 80 steps from the Atlantic Ocean beach with easy access to local attractions, shopping and dining! 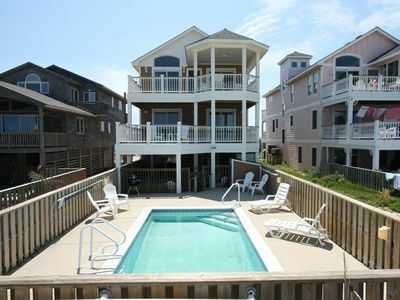 5 Bedrooms w/Master Suite, Private Pool, Hot Tub, Shuffleboard and Foosball! 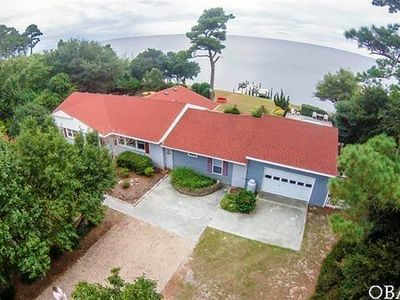 Charming Oceanfront Beach Cottage . . . This is your Happy Place!! 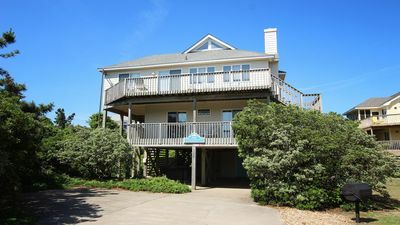 Masters 5: Golf course community, rec room with pool table, community pool. 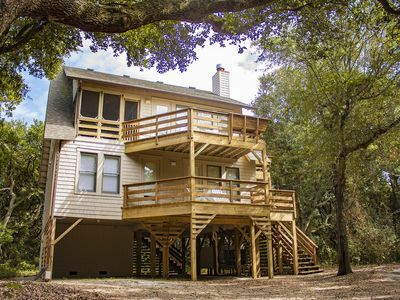 Duck cottage on a wooded lot and only a 6min walk to the beach! Pet friendly!